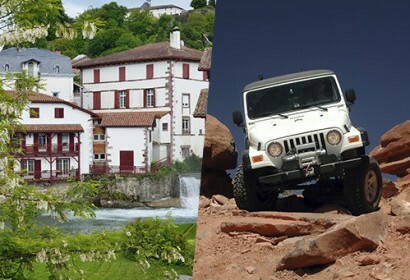 From Toulouse or Lomagne, discover the secret of the French South-West throughout a tourist rally by 2cv or 4×4 ! Travel with your coworkers for a week-end with accomodation in a 3* hotel, diner in a basque restaurant, hiking in 4×4, and lunch in a venta. 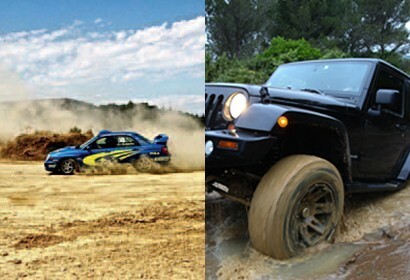 Take part to a business 4×4 piloting lesson on the Dakar track race or in Subaru on the Andros Trophy Track. Lunch, piloting lesson and wine tasting. 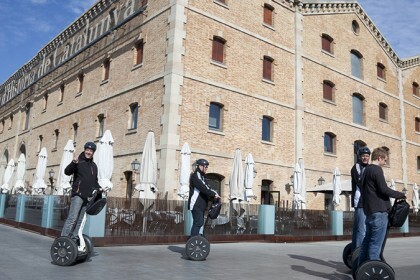 Incentive segway urban rally for groups and companies in the city of your choice. Discover the city throughout different trials. Go on a vintage car trip with a road book on a day with lunch at a restaurant or picnic (depending on your choice). A quad is a motorized means of transport between car and motorbike, easy to handle, cross-country and non-covered. The quad team building activity take place in a specific plat (domain, forest, path…) and during maximum 30mn to 3h. Most of the time, a quad team building begins by a short briefing about the quad driving method. After that, you will start your motor sport team building activity with a professional. During this kind of motor sport team building activity, you will drive by turns (4 people for one 4X4 and the driver stops at defined places). Most of the time, you start by a 4X4 drive in countryside path in order to familiarize yourself to the 4X4 driving. Thereafter you will go on most technical way. You will be surprised by the size and the power of this little machine during your motor sport team building. 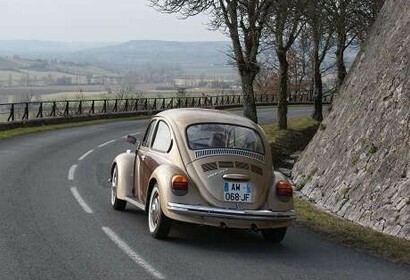 As a discovery rally without trial, you will drive cross the most picturesque French road at the wheel of legendary cars. 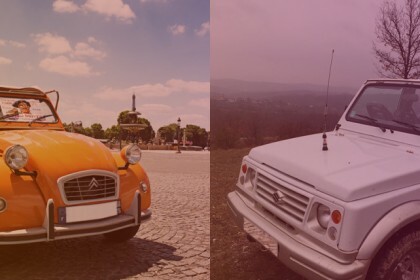 The old-style car team building can be combinate with gourmet and cultural stops (cellars, markets, livestock farming, gardens, viewpoints, landscapes, parcs…). We create for you a unique and memorable motor sport team building. Unlike a classical motor sport team building, during an incentive rally the participant will have a roadbook with historical and cultural riddles. They will be guided by a compass, go through inevitable passages and take picture of different viewpoints in order to progress and win the trials. This motor sport team building improves a lot the team cohesion. Formula 3, formula Renault, old-style car, 4X4, Subaru, Porsche, Ferrari… the participants will go to a business driving lesson on circuit. You will spend an emotional day, managed by an experienced and graduated instructor. This kind of business motor sport team building is for every level. Where organize your 4X4, quad, 2CV incentive stay… ? SOP Events has a large selection of destinations for your motor sport team building organization like France, Andorra, Spain, Swiss, Germany… You can do a 4X4 incentive stay in the Bardenas Desert (Spanish Basque Country), a snowmobile, quad, buggy incentive day in Pyrenees, an incentive 2CV starting in Toulouse, a driving lesson on Albi circuit or a maiden flight by place or by helicopter. Some of our motor sport team building offers are not on the website, if you want a personalized and tailored quote, according to your specifications and your requirements, you can contact us at 05 34 391 392 or via our quote request form.